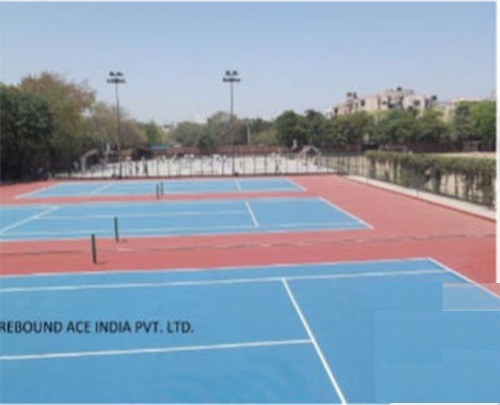 Rebound Ace India, RAI in short, is an authorized agent for Rebound Ace Pty ltd. Australia a company owned by California Sport Surfaces, USA. 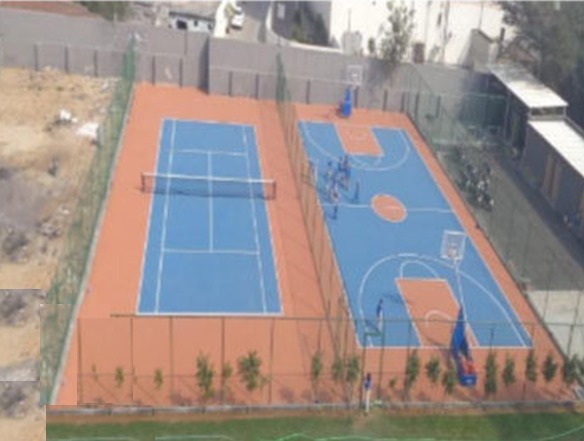 It provides both, indoor and outdoor tennis courts. 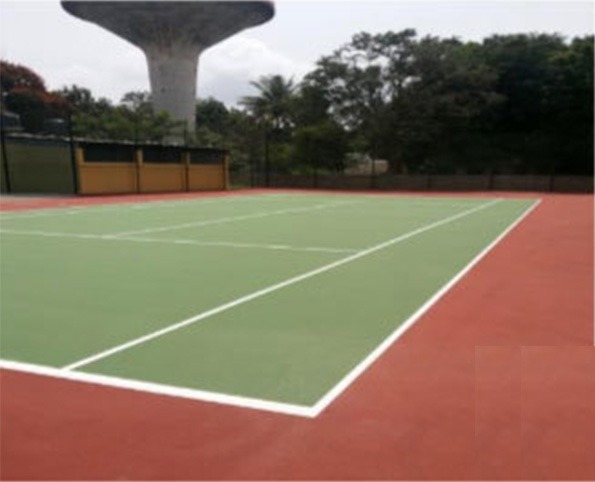 Other than this, it carries out the tennis court flooring installation work for many clients, including educational institutes, corporates, clubs, farm houses, residential complexes, etc. The company has installed surfaces in many tennis venues like Asian games, Olympics, Youth Olympics, Commonwealth games, ATP and WTA tournaments and Davis Cup Ties. 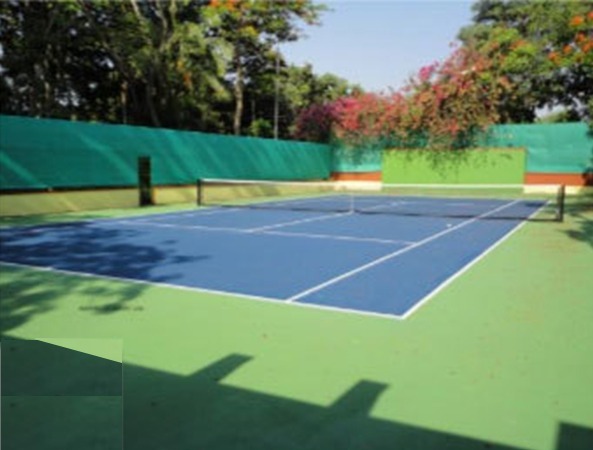 The lawn tennis court provided is known for its durability, long lasting nature, cost-effectiveness. There are many factors which are considered while making different types of products, like usage, site condition and financial viability. Acrylic liquid in situ courts: These system can be applied Asphalt sub base as well as concrete sub base. Pro Challenge and Pro International systems are available having minimum 5 layers and maximum 10 layers. Acrylic pre fab rubber cushioned system: This system can be applied on asphalt as well as concrete sub base. Also called HSA system, these are considered amongst the most long lasting systems worldwide with life span of over 15 years. PU cushioned system: Rather using rubber liquid, PU is used in situ courts. PU material provides cushioning to the court, that gives amazing playing comfort. Modular tiles: Area constraint and poor sub base can be an issue while installing acrylic system. In such cases, or areas with multi activity utility, a portable system goes well. Modular tiles available in two varieties with different shock absorption ratings make the best option for such conditions. If you are looking to add new lawn tennis court or considering a change over to another surface, then contact us today. We undertake turn- key project and also provide consultancy for any project. We had laid 4 nos. of Rebound Ace tennis courts in the year 2007. 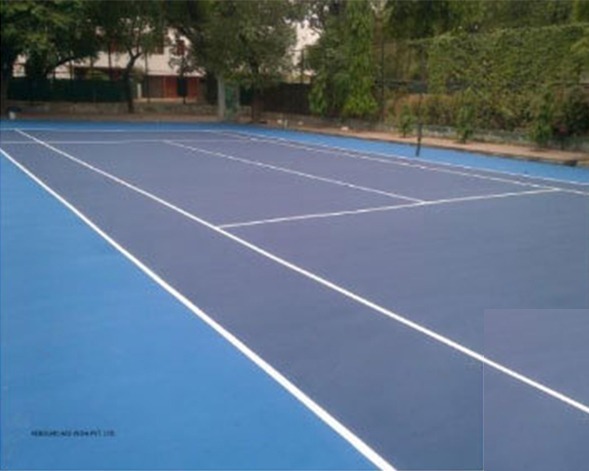 We are pleased to inform that these courts lasted for so many years and now in year 2014, after the gap of almost 8 years, they require only top coat re coating. We are very satisfied with Rebound Ace acrylic court systems and their approved installers Passion Sports. Our Court was installed when our child was 13 years old. They played basketball, Badminton; roller skated, skateboarded, paddle tennis, and any other thing they could dream up… It is great that our child was at the safe place and also we knew where they were. Of course, the Sports Court was an asset in raising our sons. By getting all this facility, we can say that we have made the best investment ever. Passion Sports helped us in initial planning and completed both the courts on time and budget. Also, their team is not only experienced but also supportive.